In the past, I have used the Mac Tecknakohl Liner ($15 US) religiously. While searching for a drugstore and less expensive alternative, my friend gave me a glowing review about the Revlon ColorStay Eyeliner ($7 -$10US). With a slightly lower price tag, I decided to give it a go. 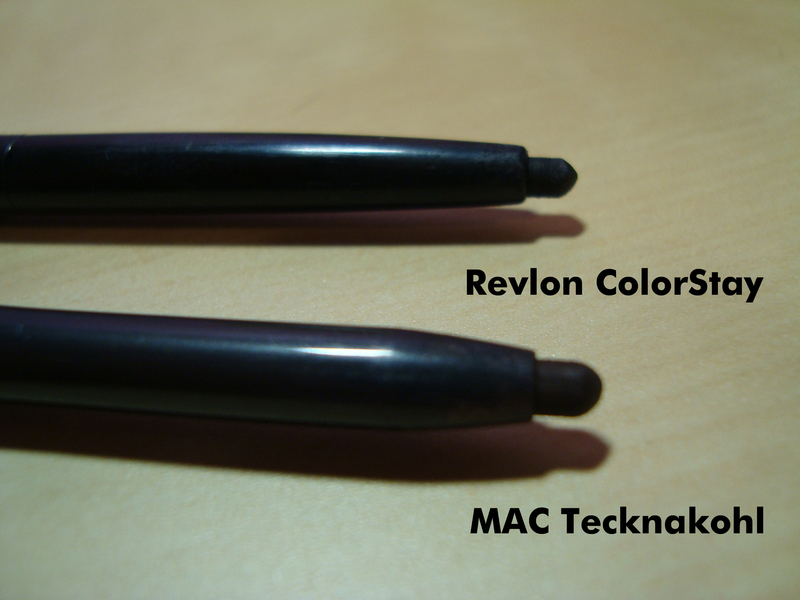 When I first tried the Revlon ColorStay Eyeliner, I could not find a distinction between the two liners. I was convinced that they were identical. And even to this date, they still seem eerily similar. They are both retractable eyeliners and smudge about the same amount throughout the day. The application, and longevity are identical. The MAC liner has a much creamier texture. While, this may be a pro in terms of ease of application, it decreases the longevity and pigmentation of the eyeliner. The Revlon eyeliner, which does not have as much of a cream base, is slightly harder to apply. However, it is much more pigmented and lasts longer. After swatching both liners, I tried to rub them both off with a tissue. I was able to remove 90% of the MAC liner while the Revlon one would not budge no matter how hard I rubbed. 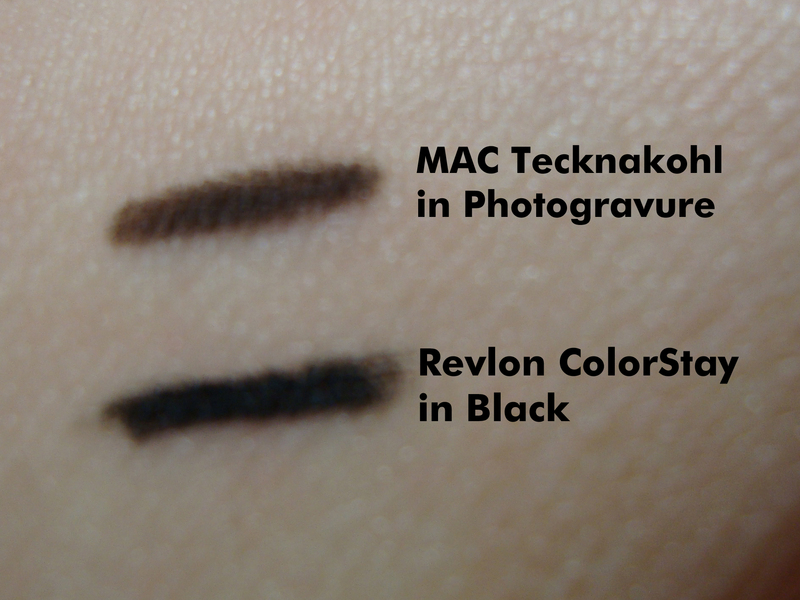 The MAC Tecknakohl liner contains a bit more product with 0.35 grams while the Revlon ColorStay only has 0.28 grams. The Tecknahohl liner has better packaging. I found that the cap of the Revlon liner became loose after a few weeks and fell off easily (especially when travelling). 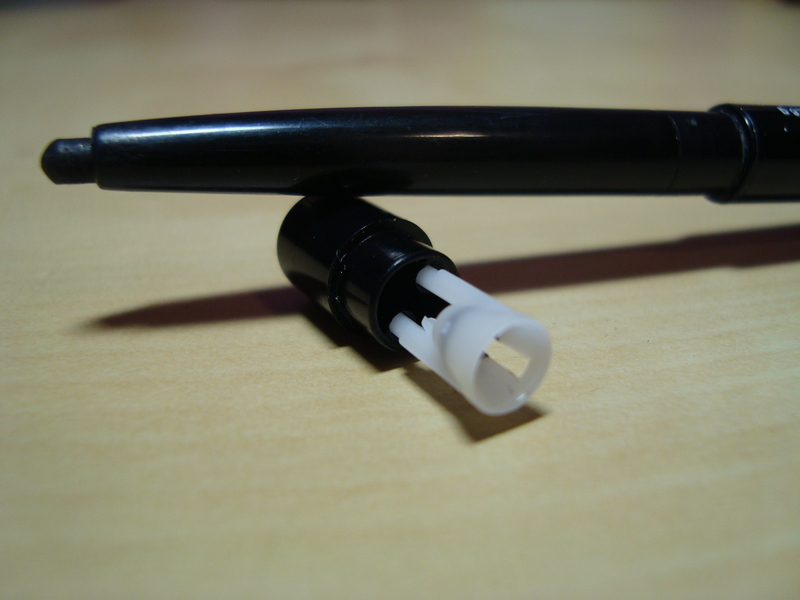 The Revlon ColorStay Eyeliner has an added bonus of a sharpener at the end of the liner (see photo below). However, I wouldn’t get my hopes up on this feature. The sharpener is poorly made of plastic and does nothing but waste your liner. Every time I attempt to use it, the only thing that happens is that a whole chunk of my liner is cut of and it’s not even sharpened! Although not by much, I prefer the Revlon ColorStay Eyeliner. What won it for me was the pigmentation and longevity. 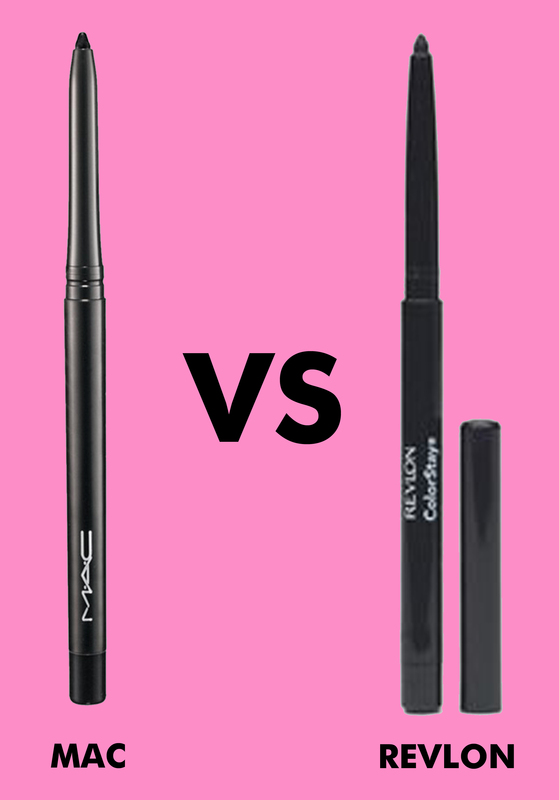 I like a bold line and my pet peeve is when eyeliners migrate or disappear throughout the day. That’s not to say that I don’t also recommend the MAC Tecknakohl Liner. But if I were you, I would save myself the few dollars and perhaps get anther lip gloss…?